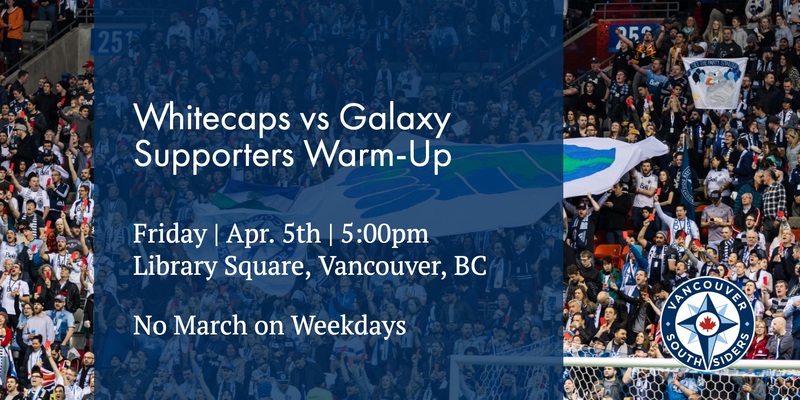 Here’s a Fun Fact* about Saturday’s nil-nil result: That was the first clean sheet the Whitecaps have kept since they faced RSL on April 27th of LAST YEAR. Want another Fun Fact*? The Whitecaps still managed to get screwed by VAR for the third week running. What a world we live in. And now we face the LA Zlatans. LAZ behind a clump at the top of the Zlatandings, but still off to a strong start this Zlatan. If we can Zlatan their Zlatan, we’ll Zlatan Zlatan to Zlatan Zlatan ZlataAAAUGH. Sorry. There’s been a lot of fawning over one of the Galaxy’s players in the lead up to this Friday’s match. I forget his name, but the dog and pony show is getting on my nerves. We’ll need another strong defensive performance to start the weekend off right. Hopefully InBeom will be fully recovered from his international duty and bring some energy moving forward. Note: No march Friday! It’s always a scramble for us working stiffs to manage a pre-game meal or beverage on weekdays. 7:00pm – Let’s kick the game off. 9:00pm – Let’s kick the weekend on. *The ‘Fun’ of Fun Facts™ is for ironic rather than for amusement purposes. Not to be taken internally. Avoid contact with eyes.